Prominent professional groups recently honored two OARDC scientists, one of whom works on food and health, one on alternative rubber production. 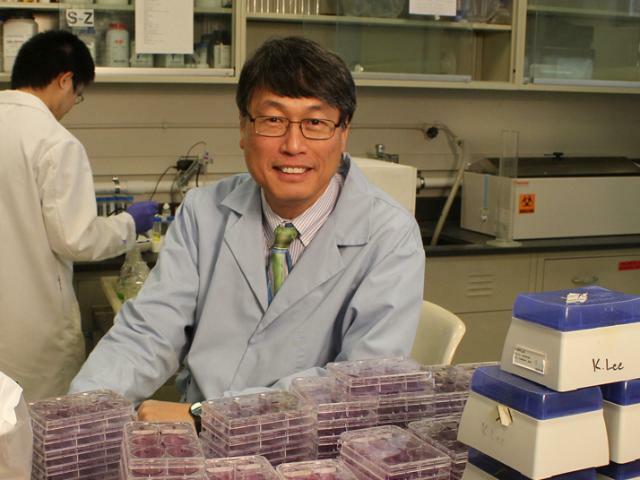 In December, Ken Lee (right), professor in the Department of Food Science and Technology, was elected Fellow of the American Association for the Advancement of Science. He joined four other Ohio State faculty members who were elected to the association last year. Also in December, Katrina Cornish (below), professor in the Department of Horticulture and Crop Science and Department of Food, Agricultural and Biological Engineering, was named a Fellow of the National Academy of Inventors. Cornish was one of two inductees — along with Vice President for Research Caroline Whitacre — from Ohio State in 2015. 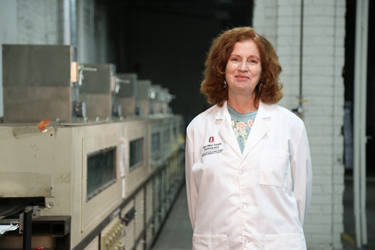 Lee, who specializes in innovative ways to improve the human condition through food, is the director and lead investigator of Ohio State’s Food Innovation Center. Cornish, who’s developing new, more sustainable sources of natural rubber, holds the Endowed Chair in Bio-based Emergent Materials and is an Ohio Research Scholar. To contact the scientists: Ken Lee at lee.133@osu.edu; Katrina Cornish at cornish.19@osu.edu.